Ride in Tours, a motorcycle tour operator apart ? Ride the mythic Nürburgring in Germany ! 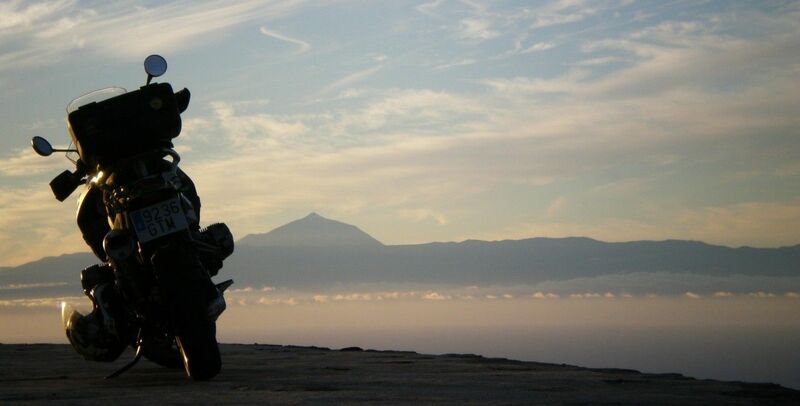 Buying a motorcycle in Europe, and sell it at the end of the trip..
Have you ever thought about riding in the Canary islands ? What makes Ride in Tours's motorcycle tours so special ? Everything is alright and to reach the coast by Le Mans and Lisieux is a formality. Everything is good, right, except this fall’s sky in which are jostling very threatening clouds. They are coming closer to me, not at the rhythm of the drum, but at the one of a thunder. And the usual scenario is repeating endlessly : one drop, then one second and before I have the chance to count the third one , it’s a real flooding that drops on me. Should I recognize a symbol of the landing ?. In my opinion, I am luckiest than those soldiers, who came here to be killed. As a replacement of heavy artillery, I will only get water on me. Fortunately, this rain will be as short as suddenly. But that was enough to wet me to the bones. Nevertheless in a tenth of a second, I measure all the happiness of being able to go to this green Normandy's landscape on autumn 2018, but not on June 1944. After several coffee breaks, and nearly 300 km telling myself how much I love this old motorcycle despite the fact that I have all the new models of BMW in my garage. I finally arrived at St Laurent sur Mer, where the Landing took place. Here is finally the famous Omaha Beach. The beach is empty and is so long, so impressive, and so calm. 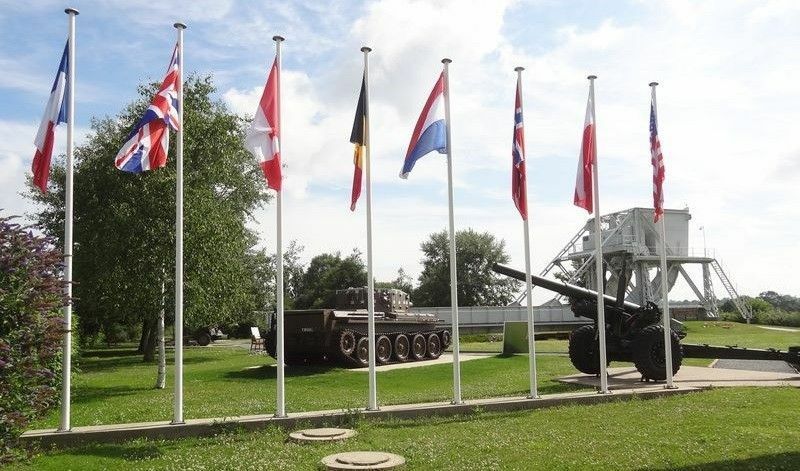 It's hard to imagine that 75 years ago, one of the most deadliest episodes of the Battle of Normandy took place here. It is not possible not to think about the movie scenes of the "Longest Day" or "Saving Private Ryan". We suddenly realize even through those movies, the hell lived by those young soldiers. The night is falling on the english Channel, and we’re about to reach our hotel, time to go back to the bike... Now, I can say that I am one of those who’ve seen Americans people on Omaha Beach. Do you make flight arrangements for your motorcycle tours ? No we don't. It has to be arranged from your home country. However, once you have your flight details we can organise your transfer from airport to your hotel. What should I bring with me on the tour in France ? You will always be more confortable if you ride with your own riding equipment but we can provide jackets, helmets and gloves on requesty some if needed. Should I arrive early ? When talking about travelling on a motorcycle in Europe, Italy is a choice that automatically comes to mind almost as a reflex. For its nice climate suitable for any bike trip and many more reasons. But also because motorcycling takes a much more important part in this country. Perhaps also because the country reflect us the idea of ​​a certain art of living. Then appears images of an Italy that we would like to make ours. These are the hilly landscapes of Tuscany with their sinuous roads lined with cypresses. These are also the beaches of the Adriatic along which, the youth of 7 to 77 years wanders on scooters or with a tasty italian ice cream in hand. What can be called the transalpine charm, it also those swarms of mopeds and scooters that rush in pack like at a moto GP start at every traffic light. It must be said that here the practice motorcycle and scooter is part of the life of everyone from the youngest age. Everyone here, has a great enthusiasm for motorcycling champions. Not a town, not a village where famous N°46 of the "Doctor "(Valentino Rossi) is worshiped. Go visit his native village Tavullia (in Central Italy) and you’ll understand then that one don’t laugh with motorcycle racing. Pyrénées, the most authentic mountain ranges of France, from the Atlantic to the Mediterranean, it's 500 km as the crow flies. Riding it with your motorcycle count at least double, while roads turns as much as you can wish!. The departure is given on the Basque coast, in Saint Jean de Luz, on Jar Alai day, the sardine festival. The BMW 1200 GS harnessed like a trading post horse, is ready to roam 1200 km of road eastbound towards the Mediterranean. When one plunge in Basque County and moves away from the sea, the traffic weakens and the Basque soul is revealed. Our first step is short, we stop in Ainhoa, who has the label of "most beautiful villages in France". In the middle of the white houses with green or red facings, we find the famous walls of Basque pelota where the chistera will soon be handled by pelotaris. Indeed, on the 15th of August, the celebrations are in full swing from the Landes region and the feria of Dax and extends to small communities lost to the hinterland of the Rhune where everywhere you’ll find competing Basque pelota or force play competitions . A motorcycle ride in the heart of high Provence ! From olive oil to melons and the local wine, the first step of our motorcycle journey takes us in the tracks of this generous wilderness that has always been renowned in Provençal cuisine. From Avignon,the major town of Vaucluse county, we follow the road signs of Châteauneuf-du-Pape. The village is home of the remains of a castle that was used as a second residency for the Popes. But it is especially due to its wine ranked among the 13 grands crus côtes du Rhône , that Châteauneuf-du-Pape owes its fame. We continue our provence bike roadtrip by taking a portion of the scenic wine road of the Côtes-du-Rhône until Châteauneuf de Gadagne). The wine cellars are numerous, a good opportunity to improve our wine culture knowledge and gratify our nose and palate. We leave the country road n°6 near Noves to reach Saint Rémy-de-Provence. This typical village of provence that marks the boundaries with the mountain range of Alpilles, a vast set of small mountains with white and rocky peaks. They surround extremely fertile lands , struck all day long by the sun. What makes motorcycle tours of Ride in Tours so special ? Designing a motorcycle tour itinerary for its customers is certainly the most exciting part for a motorcycle tour operator business owner because like a fashion designer or a stylist it often starts with a blank sheet or a basic idea that will have to grow. I like the comparison with a cooking chef who assembles fresh and quality products by playing on flavors and fragrances to sublimate a dish that he will then offer on his menu. We too, for our motorcycle journeys, assemble products and flavors with the aim of always having the best tour and being able to satisfy the motorcyclists expectations and generate feelings that could not have been lived by realizing the trip on his own. South of Grenoble, along the Isere river, here lies two of the most beautiful motorcycle riding regions of France : Vercors and south Grésivaudan. Here, nature, history and traditions mix with the spectacular road graven in the cliff or at the bottom of deep gorges. A motorbike destination not to be missed for any riders intending a motorcycle trip in the french Alps. Listed ad Natural Park regional since 1970, the Vercors mountain is an immense plateau interspersed with gorges and cliffs. Its an area of 459 600 acres and there are 72 villages inhabited by only 37 000 people. The high plateau, with its 14800 acres of forest, is the largest natural reserve in France. Located at the foot of the mountains, South Grésivaudan is in essentially an agricultural region that has always played a key role between the Vercors and the rich Rhône Valley. Since the last century, for example, virtually every roads built and carved along cliffs or steep gorges, where the waters off the plateau is pouring, were used to convey the forest woods from the plateau to the Isère river valley. The region offers exceptional sites such as the circus of Choranche, the village of Pont en Royans or Saint-Antoine l'Abbaye. In addition to the various sightseeings of interest such as the castle of Sône or its beautiful villages dating from the Middle Ages, south Grésivaudan has very beautiful roads, often in the middle of nut crops, the specialty of places. Linking visit of Vercors to the discovery of South Grésivaudan equal one of the most beautiful riding destinations that can be made with any type of motorcycle. The small village of Choranche is a very good starting point to discover both regions with your bike. For two reasons : its excellent location which offers a magnificent view on the cliffs of Presles and also because Georges, the owner of the hotel restaurant of the village, will not hesitate a moment to leave his kitchen to ride with you with his motorcycle. The itinerary that we suggest begins with the visit of the caves, few miles away from the village, towards the plateau. The site is a series of underground rooms connected by two rivers that feeds a cave lake that lies in a large room surrounded by huge transparent stalactites and stalagmites. Inside, the temperature is 10 ° C , all year round. Outside, you can walk along a balcony path that offers a great view on the circus and the gorges. These cliffs are one of the high places for climbing and base-jumping in France. Ride in Tours ? Whether you have heard of us or not at all, you are probably wondering where we are coming from ?. Founded in 2013 in Tours in the Loire Valley, France, Ride in Tours is now well established on the market of French tour operators offering motorcycle trips in France and Europe to overseas riders and multi-brand rental motorcycles. 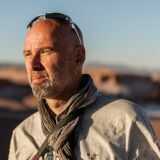 But above all behind Ride in Tours is the story of a man: Laurent DOZIAS, a motorcyclist born in 1966, (I let you count) born in Orléans, eager for travel and curiosity. Motorcycling the beautiful roads of France is the best way to discover this diverse country. With our motorcycle tours designed as treasure maps, we will guide you from one breath-taking discovery to the next, taking care of the logistics while you focus exclusively on the pleasure of riding your motorcycle at your own pace. Ride In Tours frees you from the hassle of organizing a trip while providing you some of the very best motorcycling routes in France. Relax and enjoy the experience. Ride In Tours can adapt trips to suit your needs, including flexible lengths of stay, additional nights, accommodation type, dates, rental bikes, etc. Combine several tours and get a lower rates (contact us for details). Our rates apply based on two people travelling on a motorcycle; a lower rate is available for larger groups. Take time to visit the most spectacular sights in France. Enjoy the sightseeing attractions at each stop, which are selected from heritage villages officially designated "The Most Beautiful Detours of France". Our tours highlight the history of the regions through which we travel and our itineraries are set to enhance your riding experience. Your vacations with us will never be a race against the clock !. For your accommodation, we will book traditional, independent and well-located hotels that meet a set of specifications based on uncompromising respect for your comfort, service, and cleanliness. All travelers intending a long term motorcycle trip in Europe have several options from renting, shipping or buying a bike. All those solutions have advantages and disadvantages that need to be analyzed according to the kind of motorcycle trip planned. For most motorcycle trip in Europe renting is the most cost effective option. Rental companies are numerous in Europe and can provide almost all types of bike from custom to dual sport/adventure bikes or even sport bike. Once you have chosen the country you will rent from and selected the rental company make sure to compare the rates as they can be very different from one to another. For example some includes unlimited mileage others are charging for extra miles. But we will come back later in the blog with more information on how to rent a motorcycle. Depending on how much time you plan to ride in Europe but shipping is an interesting option but not the easiest and certainly not the cheapest. Prices range from 1 to 3 between shippers and destination. Keep in mind that it usually takes time to organize and a lot of hassle on paperwork. There is also a risk, especially with sea freight, of delays. Once your bike is arrived at destination it also takes some time with customs and shippers to get it. Then when you think it’s done and can start you ride you must get an insurance which is another story especially as a non-resident. Shipping is worth if you plan to spend at least 6 to 9 months or more. At least but not last you can try to buy a motorcycle and sell it back when you have completed your trip. It must be stated that in order to be cost effective the duration of trip must be at least 3 months. Below this period renting can still be interesting. Compare to renting and shipping, buying is not the easiest to find as very few business offers this service. Sometimes motorcycle dealers will be ok to do it but it will cost a lot. The principle is very simple. You buy a bike, do your trip, come back and sell it. The main advantage of this system is that you don’t have to go through the administrative hassle (registration and insurance). As an example, in most European countries you can only get insurance (or even sometimes title) if you can prove you are a resident. In most case there are ways to go around it but it’s always playing on the razor’s edge and it’s time consuming and stressful. Some company only charge a fee on each transaction but you only get your money back when the bike is sold (can take a few months) some charge a percentage of the value of the bike which is what Ride in Tours offers. As an example Ride in Tours use a chart in accordance with the mileage done and duration to get the percentage of refund on the bike (from 40 to 60 %). 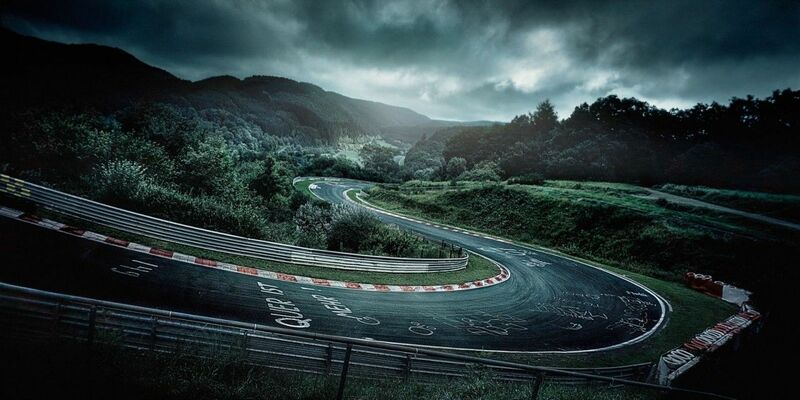 Near Cologne, in the heart of the Eifel forest in Germany is one of the most mythical racetrack: The Nürburgring. Created in 1927, with a length of 27 km and with more than 177 turns, it is a unique place in the world for all lovers of speed who want to aim to get their wheels on track. Nicknamed "the Green Hell" by F1 driver Jackie Stewart and considered as one of the most dangerous circuits in the world, its unrolls his 20 km loop uphill and downhill. The Northern circuit or Nordschleife loop does not catch the first stroke and it takes many turns to familiarize itself with its selective layout. There are all the ingredients: blind curves, cant, fast portions and tight pins, all in a relief and a unique natural scenery with slopes up to 16% and often a delicate weather (fog at its summit). There are many different painted tags, some of them in memory of missing pilots. Moreover most manufacturers and racing teams come to test their latest models and challenge them. The 31st edition of the motorcycle flea market was taking place this week-end in Niort in the Poitou region. The event has become, for many years, a great classic motorcycle rallye in the calendar of all western atlantic bikers. The success is mainly due to the fact that it’s a free rallye and also the quality of its oganization, thanks to their numerous volunteers. This flea market is one of the biggest in France with the one in Elboeuf in Normandy. 24 hours of Le Mans motorcycle race is coming soon in april so why not take the opportunity to visit the museum of the 24 hours. If the Le Mans is mainly known for its rillettes, a pork paté, it is the motor sports that made the heyday of the city. Settled In the heart of the legendary Bugatti circuit, the museum created in 1961 was fully renovated in 2009 to offer visitors a journey through time on the themes of race, car history and the industrial heritage. While the largest part of the museum is dedicated to the car manufacturing and racing, motorcycle still have a noteworthy space with the famous 24 hours motorcycle race. You will see the bike of former Grand Prix racer Christian Sarron or even the Honda World Endurance Champion bike of Leon Chemarin. For those who are looking for a bike for a long trip in France or Europe we currently have the following models available. All our models are serviced and ready to go. Bike is from july 2001 and has 67000 kms. Equipment : high windshield, comfort seat and Givi top case box. Guess what ? We did it and we've been surprised by what those islands has to offer : gorgeous roads and landscapes, mild weather all year long, nice and welcoming people, mountains and sea, and as many curves and twisty roads you can imagine... So why not trying it ?